﻿Tafford Leigh Mallory was the younger brother of George Herbert Leigh Mallory and was born at Hobcroft House in Hobcroft Lane in 1892. His father Herbert Leigh Mallory, the last in a long line of Mallory Rectors in Mobberley built Hobcroft House in 1890. The house, now owned by Manchester Airport being close to the end of the second runway, has been empty for some time but was sold at auction in 2016. Trafford was sent away to boarding school in St Leonard's in Sussex and then Haileybury College in Hertfordshire. He gained an Exhibition to Magdalene College at Cambridge University. He planned to become a barrister but on the outbreak of war enlisted in the King's Liverpool Regiment (the "Liverpool Scottish"). Kept back for officer training, it wasn't until April in 1916 that he joined his regiment near Ypres. Wounded in the leg he returned to England and decided to volunteer for the Royal Flying Corps. He rose through the ranks reaching the rank of Major and Squadron Commander by the time the war ended,receiving the Distinguished Service Order. Having lost four years of his planned legal training he decided to stay in the Royal Air Force in which he eventually reached the rank of Air Vice Marshal of the RAF and was Chief of Fighter Command in WW2. He was awarded the KCB but was killed in 1944 when the aircraft taking him to Ceylon (Sri Lanka) crashed in the French Alps. George Herbert Leigh Mallory was born in 1886 at Newton Hall in Mobberley where his sisters Victoria and Mary were also, before the family moved into Hobcroft House, built in 1890. His father was renting Newton Hall before taking over as Rector in Mobberley and moving (eventually) into the Manor House (demolished after WW2), the family home. He was educated at Winchester College and Cambridge University before teaching at Charterhouse School in Surrey where he was kept out of the war due to his head-teacher's reluctance to let him go, all the time enjoying his passion of mountaineering. He later did join the Royal Garrison Artillery and served in the trenches in France . After the war he took part in three Everest expeditions and died in 1924 on the slopes of the mountain. 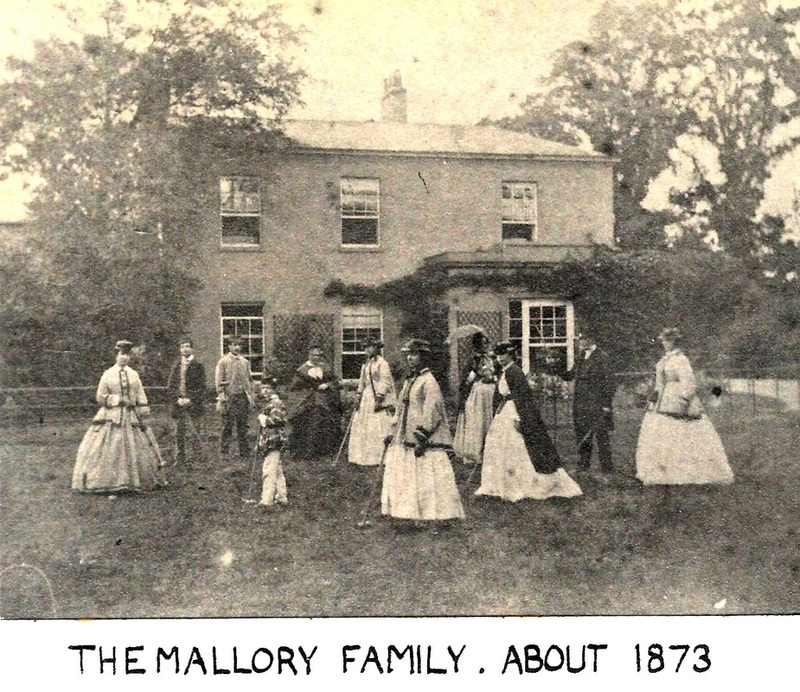 By this time the Mallory family had left Mobberley his father having exchanged livings with the Reverend Gerald Campbell Dicker from Birkenhead in 1904. George and Trafford had two older sisters. Annie Victoria (known as Avie) married Harry Morgan Longridge in 1910 and at first lived at Rathlin on Church Lane. They had five children the youngest of whom, Chriistopher Leigh Mallory Longridge was lost in the Second World War when the S.S. Almeda Star was torpedoed off Rockall with the loss of alll 360 on board. Harry and Annie later moved to Sussex. Mary Henrietta, born in 1885, married Francis Ralph Russell Brooke in 1914. Francis served with the Royal Garrison Artillery in the Great War. They had two children, David and Barbara. David died in Normandy in 1944 aged 26. Barbara's son, Bill Newton-Dunne wrote the biography of Trafford Leigh Mallory, "Big Wing". This is a link to the book compiled by Herbert Leigh Mallory and covering the history of Mobberley, largely from a newspaper feature from around the early 1900s and the genealogy of many families, in many cases hand written by HLM himself. It came to light when Barbara Newton-Dunn, daughter of Mary Henrietta (Mallory) Brooke, was sorting out the effects of her mother who had died in 1980. She obtained the contact details of Peter Chapman in Mobberley from Mollie Dalglish, her cousin and daughter of her Aunt Avie (Mallory) Longridge and passed the book into his possession. Some of the pages are permanently stuck together but it has been possible to scan most of it.